Streaming tv has started to become very popular as many people are looking to cancel cable and dish subscriptions in favor of lower cost streaming tv which offers more freedom to watch what you want, when you want it. I had put it off for a long time, but recently I had a chance to try out the Roku player in combination with Netflix, and I was surprised at how many shows and movies were available. I ended up getting the Roku Express which is very affordable at just $30 and allows you to stream tv shows and movies by connecting it to your wifi internet. The Roku offers many free channels as well as the option to view additional content and channels for a fee or monthly subscription. Upon taking it out of the box, I was surprised how small the device is, which meaures about as big as a fun size candy bar. It plugs into the tv by HDMI cable and is powered by a USB cable that can be plugged into an outlet using the AC adapter, or into the tv itself using the USB for power. The cables included are rather short but I found they were long enough to set up the Roku in a good position near the base of the tv. Once it is plugged in, the Roku must be connected to your wifi internet and then registered online either by computer or by phone. This was a bit time consuming and not as easy as it could be. Also, upon registering the Roku, they require a payment method such as credit card or PayPal. This was something that was not made clear before purchasing. It does not even mention anything on the box about having to enter a payment method. Upon doing some research, apparently there are ways to get around having to enter in a credit card, but when I was setting it up, it did not have any option to skip this part, so I had to enter the credit card. I found out later, once you have an account and are logged in, you can remove the payment method. Still, this should have been optional upon setup. I understand they want to make it easy for people to be able to purchase content using the Roku, but many people may just want to use it for the free channels available. During the setup, they will ask if you want to install channels such as Netflix, Hulu, and Amazon. It was not clear if they were setting it up with an actual subscription or if they were just adding it to the Roku menu so I unchecked most of the options. I found out later, this is only for adding them to the menu, but it will not actually sign you up for paid services. It needs to be more clear especially considering they already have your payment information on file. Once it was set up, I starting playing around with the settings and exploring the channels. It does have some ways to customize the menu and there are a fair amount of options available. For channels, there are hundreds available to choose from and you can add them to your main menu if you find some you like. Most of the best channels have a monthly fee. Free channels usually have ads or commercials or they are just not very good. I noticed a lot of the free channels are basically like Youtube channels, which is ok, but to really make use the Roku to its full potential, you will probably want to get at least one of the paid services. Navigation using the remote provided is pretty easy, but it would definitely help to have a keypad option when try to to search by name or title. There is also an option to link it to the Roku app with a phone, but I will probably just continue using the remote. Also it seems there is no way to turn off the Roku Express. They mention that it is meant to stay on at all times and does not use much power. It will go to a screensaver after a certain amount of time. Still it would be nice to have an option to be able to turn it off. So far it has been working pretty well and despite the some of the shortcomings mentioned above, it is still a great deal at the $30 price point to get streaming video for your tv. If you are looking for an affordable way to get a lot more content to watch on tv, I recommend trying out the Roku Express. 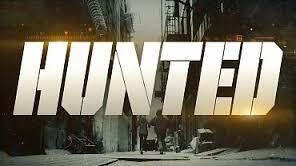 A new reality show called Hunted is now airing on CBS which features 9 teams of 2 who are on the run from professional detectives. Their goal is to remain fugitives and not get caught for 28 days. If they manage to make it to the end, they win a large sum of money. So far I have watched the first 2 episodes and it is a pretty good show. It is fascinating to see the different strategies on each side as the fugitives try to stay hidden while moving from place to place while the investigators try to find out everything about them and track their every move. One thing that surprised me was how much technology and investigative techniques the professionals really have access to. We all know things like cell phones and credit cards can be tracked, but they go even further into detail by seeking out any digital footprint available, not only of the fugitives, but also those with any relation to them. They are able to track vehicles, get surveillance from cameras at ATMs, even track paper mail that has been sent. It seems in this day in age where everyone is so connected to the grid, it is impossible to vanish and not get found if they are looking for you. This raises the controversial debate on if the professional investigators or government agencies have too much access to this information to the point where it compromises the privacy of individuals. Personally I think it is ok and a good thing as long as it is used for the right reasons such as to track down criminals and prevent potential bad events from happening. It does make you question how much information is ok to put out there on the internet. It seems every day there is news about some celebrity or public figure that tweeted something that they shouldn't have. You really have to be careful about what you put out there these days because as they say, once it is out there, it can never really be deleted. In case you have not seen the show Hunted, I recommend checking it out as it is educational as much as it is entertaining! It airs Wednesday nights at 8/7c on CBS. Recently I watched a series on Netflix called Haters Back Off, which is based on a Youtube character named Miranda Sings. It is the creation of Youtuber Colleen Ballinger, who plays the main character Miranda. I had been familiar with her character prior to watching the series, but never really got into it enough to subscribe. Nevertheless, I decided to check out the show to see what it was like. The series is centered around Miranda who dreams of being a famous singer. The only problem is, she cannot sing and is really not cut out for being a performer. Despite this, she is oblivious to reality and still believes she is the best singer who is destined for greatness. Her family includes her recently unemployed uncle who is determined to help Miranda achieve her dreams, her mother who has more of an understanding of her daughter's limitations but still tries to support her, and her sister who comes off as very normal in comparison to the rest of her family. The series is a mix of comedy and drama as we watch Miranda try different methods to become famous despite the haters telling her she has no talent. Her uncle seems to think she can make it and goes to great lengths to manage her career to help her succeed. Her mother who claims to have “un-diagnosed fibromyalgia” plays sort of a sad role as someone who is unfulfilled and stuck in the situation she was dealt with. Her sister tries to live a normal life while trying to avoid embarrassment of being associated with the odd characters that make up her family. Overall, I enjoyed the series. It may not be for everyone, but if you like quirky shows with a mix of comedy and emotion and don't mind suspending belief, it is definitely worth checking out. The series has 8 episodes and is available now on Netflix. You can also check out Miranda on her Youtube channel from which the series was based on. Also, good news, Haters Back Off has been renewed for a season 2 so look for that hopefully later this year! Update 1-19-18: I just finished season 2 of Haters Back Off and it was great! It looks like it will only have 2 seasons, but I think they ended it pretty well. I recommend checking it out if you are looking for a quirky comedy with lovable characters.